Details are critical. 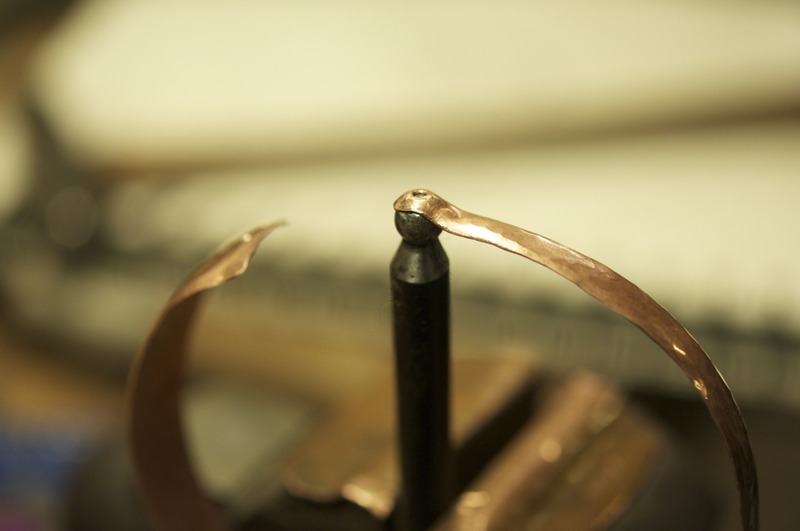 Shaping the socket for the ear wire on a tiny round punch. The lead-in and curve if this step guide the tail of the wire so it clicks in place without fiddling.